A court has ruled that the MS of a former worker on the LCD production line at Samsung Electronics (the line is now part of Samsung Display) is a work-related disease. Not only is it extremely rare for multiple sclerosis to be acknowledged as a work-related disease, but this is also the first work-related disease to be recognized at Samsung’s LCD line. On Feb. 10, Lee Gyu-hun, a judge at the Seoul Administrative Court, ruled in favor of Kim Mi-seon, who had asked the court to force the Korea Workers’ Compensation and Welfare Service to reverse its decision not to approve her request for compensation for medical treatment. Kim contracted multiple sclerosis while working on the LCD production line for Samsung Electronics. Multiple sclerosis, a condition of the central nervous system, is a rare disease that reportedly occurs in 3.5 of 100,000 people. Kim began working at Samsung Electronics’ Giheung factory in 1997, when she was 17 years old. She had been on the production line for three years when she contracted the disease in Mar. 2000 and left the company three months later. She filed the lawsuit in 2013, after the Korea Workers’ Compensation and Welfare Service declined to recognize her multiple sclerosis as a work-related illness. “The fact is that Kim was exposed to organic solvents such as acetone on the job; that she worked on shifts, including a night shift, before the age of 20; that she worked on a night shift in a sealed space; and that she did not have enough exposure to ultraviolet rays appear to have been factors that caused or exacerbated her multiple sclerosis,” the judge said. “The companies that supplied chemicals to Samsung Display did not disclose what was contained in the chemical products that Lee handled, despite the court’s repeated requests, and the Ministry of Employment and Labor did not provide its safety and health diagnosis report about Samsung’s LCD factory on the grounds that it was a business secret. 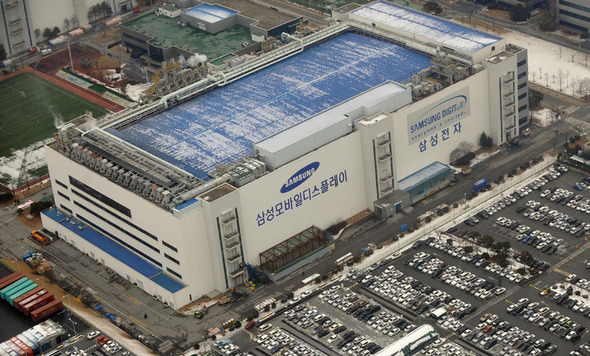 The court also said that Samsung was largely responsible for the difficulty of demonstrating the plaintiff’s work environment since it had not submitted relevant documents or adequately investigated related matters,” said Lim Ja-woon, an attorney with Banollim, a watchdog group for the health and human rights of workers in the semiconductor industry, who represented Kim in her lawsuit. In the compensation standards that Samsung Electronics drafted independently after mediation with Banollim over compensation broke down, it categorized multiple sclerosis in the third group, corresponding to a low level of compensation for medical costs. Kim is still suffering from various medical conditions, including a class-one visual disability and damage to her hip joint and to the cartilage in her knees, but she has refused to settle with Samsung to protest the company’s insistence that she accept its arbitrarily decided compensation standards.